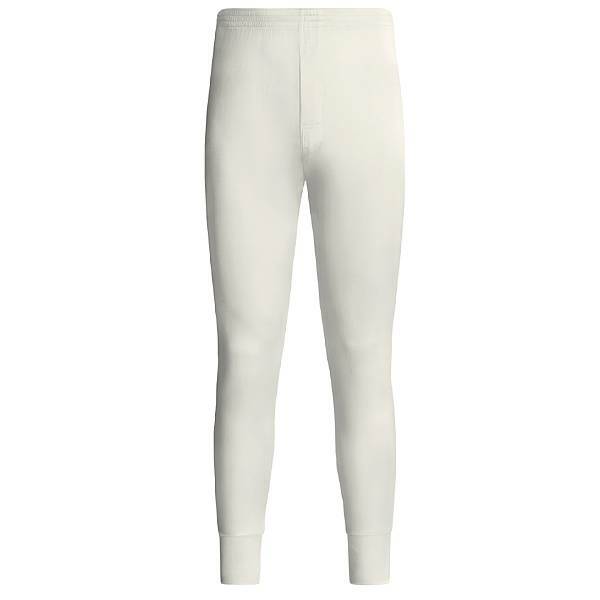 With the tenacious grip of winter and Mrs. E.’s recently diagnosed Raynaud’s Disease, my mind has been much occupied by clothing that will keep one warm while keeping in good form. They are also very useful if your closet is full of the ultra lightweight suits so popular these days. OK, so you and I are watching our cash these days and we like to have pieces that do double duty. 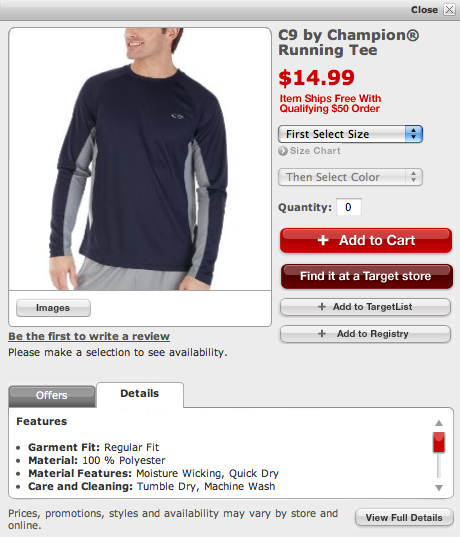 Consider, then, using technical fabric base layers as workout clothing and under your dress clothing. The trick is to keep it relatively snug fitting. 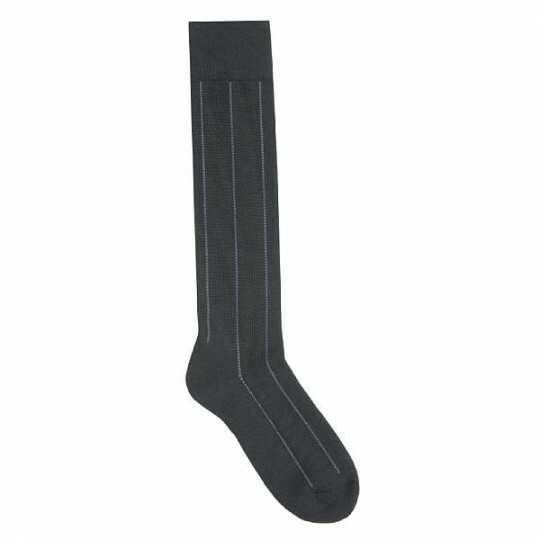 Your feet will be much happier in a good pair of lightweight ski socks, like these from Smartwool at REI. 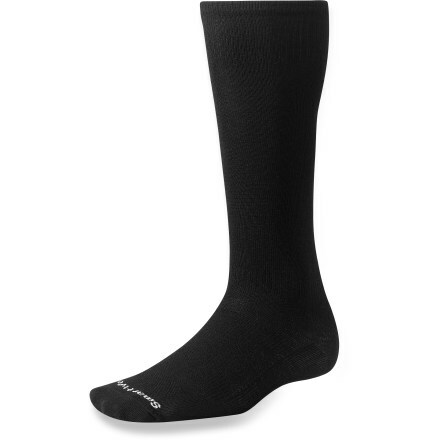 Or their dress sock merino wool version at Sierra Trading Post. In very cold weather, I settle for my black cashmere watch cap. 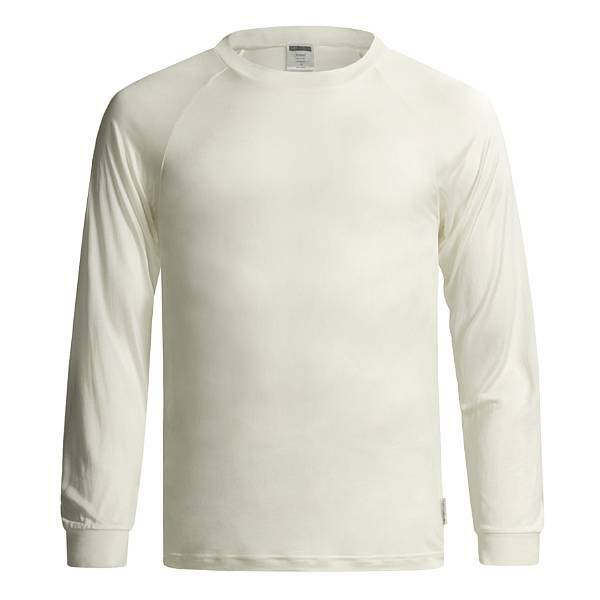 It is lightweight, warm, secure in the wind and slips into a pocket very easily. 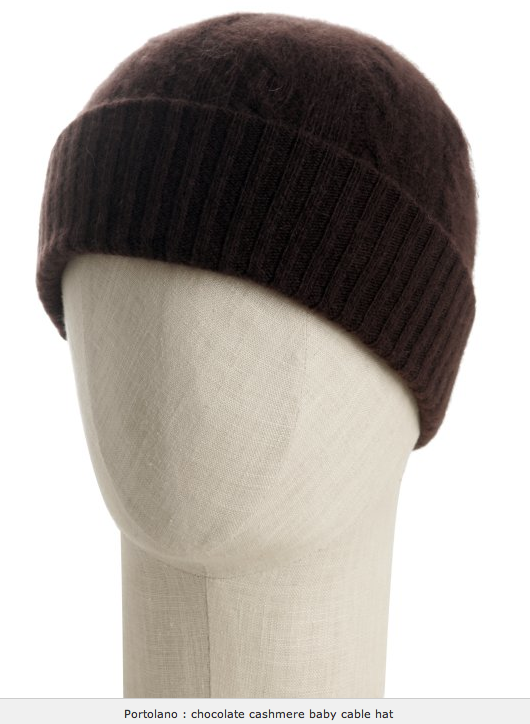 Portolano cashmere cap in chocolate from Bluefly . So tell me, those of you who endure the worst of the Snow Miser’s wrath, how do you weather the storm? This entry was posted in Elegantology and tagged Ambassador Hat, Cabela's, cashmere turtleneck, Cashmere watch cap, George Hamilton, Raynaud's Disease, Sierra Trading Post, Silk Glove Liners, silk long underwear, Smartwool, Target, Technical clothing, Winter clothing. Bookmark the permalink. “handy” upon shaking hands with a new person. (I think it affects the feet as well) I’ve had it for years and was only diagnosed about 15 years ago. What to do? Also is this linked to hypothroid? Good post of warm layers for men, how about one for the women? Good luck. Yes, silk is warm, but cashmere is both warm & fuzzy, so winter means two tight t-shirts, then a cashmere sweater, then a BB buttondown, then a cashmere v-neck sleveless sweater, then a shetland crewneck then a tweed odd jacket, topped off with cashmere scarf. And that’s it, except for the possible addition of a paiur of gloves–if I can find them. I haven’t worn a winter coat in four years and I haven’t been sick, either. You get sick from being around sick people, not from the cold. But here’s the thing: I wear that exact combination from the time I walk out my door in the morning till I walk back in that night and I’m just a comfortable waiting for the bus a half a block from Lake Michigan as I am sitting at my desk. 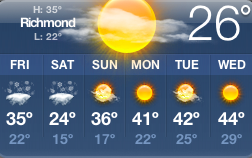 It’s not so much about “warmth” as it is about a stable microclimate. I’ve learned many cold weather tips from duck hunting. The most invaluable advice is to keep your feet warm at all costs. 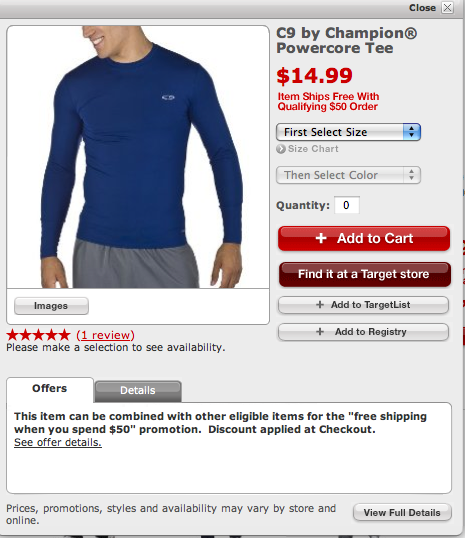 Of course, I’m only addressing comfort here – body core temp is paramount for overall safety. The key to keeping toes toasty is to provide appropriate insulation and warmth, and avoid prolonged contact with perspiration moisture. In addition to wicking polypro sock liners, I’ve found that a judicious application of spray antiperspirant works wonders on those duck blind days. I have a pair of wool glen plaid slacks that are so warm. I once admired a man on the slopes wearing the warmest looking trousers, they were a tweed. He said,”they kept him nice and toasty.” I am about to pour a wee sip of some special reserve which also helps to ward off a chill. 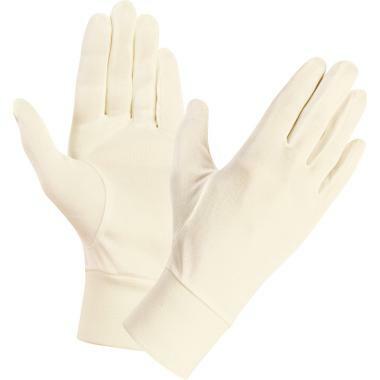 bg, Mrs. E. will have the silk underclothes, glove liners, sock liners and good socks to start. 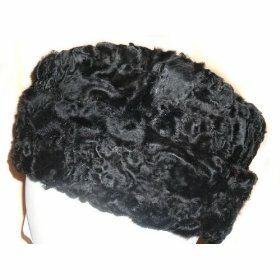 I also bought her a sheepskin/mouton hat in black. She will manifest symptoms if the a’c is up too high … blue fingers, toes, and nose. magneverede, you’ve taken layering to a new level. David V., in Muncie they thought I was crazy. “What are you going to do when it gets cold?” My toothbrush froze and I learned to cook because the gas stove was warm. Mrs. PvE, tweed and a nip. Perfect, in my humble opinion. And glen plaid? A favourite. Especially in flannel.